Join Minnie and the rest of the Mickey Mouse Clubhouse members in a fairytale adventure as she becomes Minnie-rella! In this episode of Disney Junior’s Mickey Mouse Clubhouse, Mickey and his friends distract Minnie with chores so she is unaware of the special gift they want to give her. Minnie falls asleep while doing all of these chores, and she dreams she is Minnie-rella. With the help of her Fairy Godmother Clarabelle and other characters, Minnie-rella uses simple math and problem-solving skills to get ready for the ball and meet her Prince Mickey. Will Minnie-rella’s story end like the fairytale this episode is based on? You will have to watch to find out! Additional episodes of the Mickey Mouse Clubhouse (Pluto’s Tale, Mickey And The Enchanted Egg, and Daisy’s Pony Tale). 10 Minnie’s Bow-Toons Shorts (Season 2). My young children really enjoyed Minnie-rella! My younger daughter especially loved seeing Minnie dressed up like a princess. Both kids also liked helping Minnie-rella and the Fairy Godmother Clarabelle solve problems to help Minnie-rella finish her chores. The three of us even shared a dance while Prince Mickey and Minnie-rella were dancing and singing a duet together. 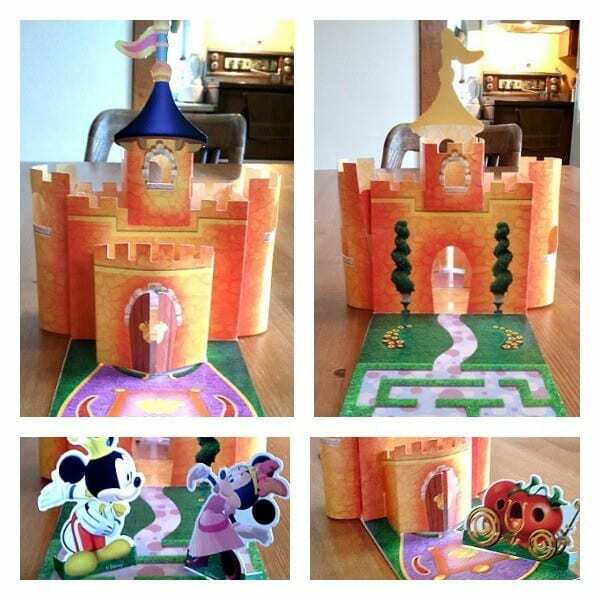 Another feature both of my children enjoyed with this DVD was the Minnie-rella Castle Play Set. They could not sit still long enough to let me assemble it, they were so excited! It took about15 minutes to put the pieces of the castle together. It is fairly sturdy for a paper castle. It was fun to watch both of my children playing with Prince Mickey, Minnie-rella, and the magical tomato coach to create their own adventures. I had to tear them away from the castle to eat their lunch, and they went right back to playing with the castle once lunch was over! Overall, Disney Junior’s Mickey Mouse Clubhouse: Minnie-rella was a hit with my family! 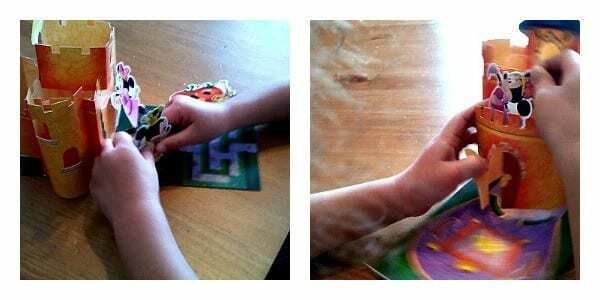 All of the episodes were fun to watch, learn, dance and sing a long with, and the Castle Play Set allows them to continue to use their imagination and creativity. I hope you and your family have a ball with this DVD like we did! Everything in my house stops when Mickey Mouse Club House comes on. I bet my daughter will love this. I also think it’s great that it has more than just the feature on the DVD. I know a few little girls who would love this. I love all things Disney. Unfortunately I don’t have kids, so I don’t often see the Disney Jr stuff, but I love that it is not only fun, but also educational. Thanks for all of the comments, ladies! This DVD is a daily fixture in my home now. I think there are parts of this DVD that kids of all ages can enjoy! I get up and dance and sing whenever certain songs come on because they are very catchy. They will stick in your head! This looks like a really cute movie, my son loves this show! Thanks Kathy! It is a really great DVD! It’s been a while since I wrote this post, but this DVD is still in rotation when my kids get to watch a movie/TV series. They still sing along as well! Hi kathy downey! My gang love all of the characters, even Cookoo Loca in the bonus features! They go crazy for her! « Mickey Mouse Clubhouse: Minnie-Rella Activity Sheets!